Council’s Skip It scheme collects equivalent of 32 African elephants! 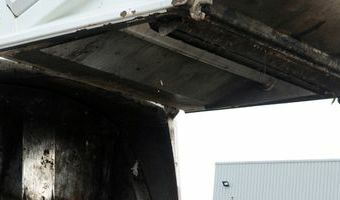 North East Lincolnshire Council’s first-ever Skip It events have been hailed a hit, with almost 5,000 visitors unloading 194 tonnes of household waste. The three-month pilot project gave people the chance to dispose of unwanted household items, while learning more about how we can all do our bit to create a cleaner, greener North East Lincolnshire. People came in their numbers, even those without transport, with some carrying a sofa down the street or pushing a fridge and furniture along in a wheelbarrow. Any waste taken to the Skip It days was sorted at the site, meaning a lot of it could be recycled, with only a small amount going to landfill. A total of 1,536 recycling boxes were also given to people who visited the events. More than 78 tonnes of waste taken to Skip It over the three weeks between August and September was recycled, with a further 95 tonnes going to the Energy from Waste Plant (EfW). Less than 20 tonnes of waste was sent to landfill disposal. Councillor Matthew … [Read more...] about Council’s Skip It scheme collects equivalent of 32 African elephants!